Accreditation is a voluntary activity in which healthcare organizations submit to expert review of their internal policies, processes and patient care delivery standards as evaluated against national standards. 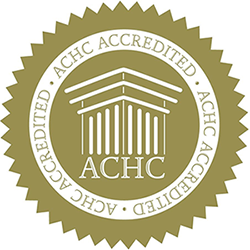 PRC-Saltillo was awarded accreditation status by the Accreditation Commission for Health Care, Inc. (ACHC) in May, 2009. With this accreditation, PRC-Saltillo has demonstrated compliance with ACHC standards for DMEPOS (Home/Durable Medical Equipment Services) and has reinforced the company's commitment to maintaining the highest level of competency in its products and services. "We're both pleased to have received this accreditation and committed to maintaining the high standards required by the Accreditation Commission for Health Care," noted PRC-Saltillo CEO Dave Hershberger. 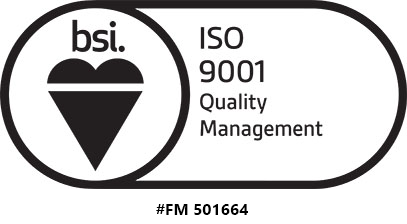 PRC received ISO 9001 certification in March 2006, and retains its leadership in quality commitment as one of only a few companies with this certification in the AAC industry. Our Quality Policy states that our mission is to enable the success of our customers. Our primary goal is to create distinctive value for our customers by delivering the most useful and reliable products in the industry at a competitive price. This will be accomplished in an open, safe and participative environment that maintains high standards of accountability and high standards of quality in all aspects of our business. PRC-Saltillo maintains membership and participates in a leadership role in the Assistive Technology Industry Association (ATIA). ATIA is a not-for-profit membership organization of manufacturers, sellers and providers of technology-based assistive devices and/or services. ATIA members "speak with a common voice" for the AT industry, and work closely with Electronics & Information Technology (EIT) companies and government, on matters of common interest such as Section 508 of the Rehabilitation Act, Americans with Disabilities Act (ADA), and comparable continuing issues.